If you’ve grown tired of hearing, “are we there yet?” then you’ll quickly fall in love with the Honda Pilot’s entertainment systems. Music and media have the power to transform the experiences of you and your passengers, and since every Pilot offers an excellent stereo system and a suite of easy-to-use connectivity features, it’s easy to get more enjoyment out of every drive. Primary Stereo Systems: The Honda Pilot’s LX, EX, and EX-L trim levels include a 215-Watt Audio System with seven speakers, and those who opt for the Touring or Elite trims will receive a 590-Watt, 10-Speaker Premium Audio System instead. Multi-Zone Audio technology also comes standard in these latter models. Display Audio Interface: An 8-inch, high-resolution Display Audio Touch Screen comes standard on the EX trim and up, and when you take advantage of its customizable button tiles and analog volume knob, you’ll be able to enjoy Apple CarPlay, Android Auto, and a whole suite of other entertainment features. Advanced Rear Entertainment System: A Blu-Ray-compatible Advanced Rear Entertainment System is an optional upgrade on the EX-L, and standard on both Touring and Elite trims. 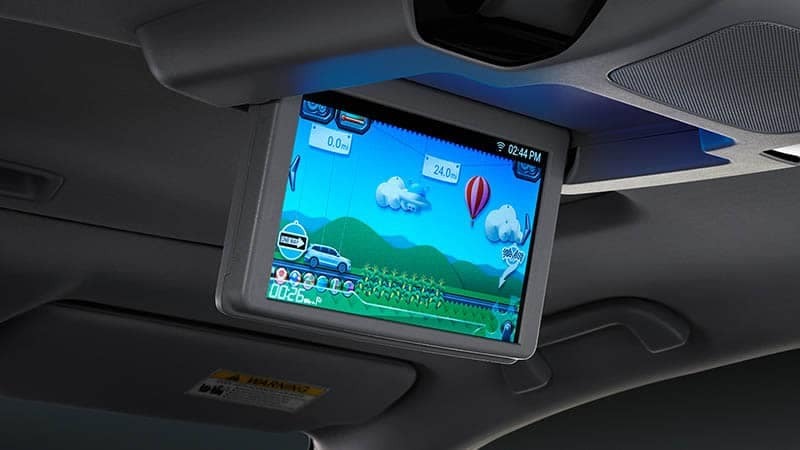 Built-in streaming apps have been included as well, and since these trim levels also possess a 115-volt power outlet and an HDMI port, you can easily connect an outside computer or gaming system. SUVs are supposed to take the stress out of your day-to-day adventures, and when you drive the Pilot, there won’t be any challenge that can slow you down. Wi-Fi and Satellite Navigation: Starting on the Honda Pilot’s Touring trim, a Satellite-Linked Navigation System and Mobile Hotspot Capability have been included as standard features. Both features can help you stay connected with the world outside your cabin, and enjoy adventures that are anything but ordinary. Hands-Free Access Power Tailgate: The Pilot’s tailgate can be opened and closed with your key fob, starting on the EX-L trim and up. In both Touring and Elite models, you’ll gain an additional Hands-Free Access feature, that lets you perform the same function by waving your foot beneath the rear bumper—making it easy to load cargo with your hands full. CabinTalk: The CabinTalk in-car PA system allows the driver to make their voice heard through the rear entertainment system(RES)-connected headphones that are currently in use. This feature is standard on the EX-L and up, and on Elite models, you’ll also be able to send your voice out over the Pilot’s speaker system. Smartphone-Friendly Cabin: The HondaLink app—standard with the EX and above—offers instant, on-the-go access to your parking location, scheduled service updates, detailed vehicle guides, and much more. An SMS Text Message Function, also standard on this trim, can even read your message aloud! Those who upgrade all the way to the Elite trim will receive a Wireless Phone Charging Panel. 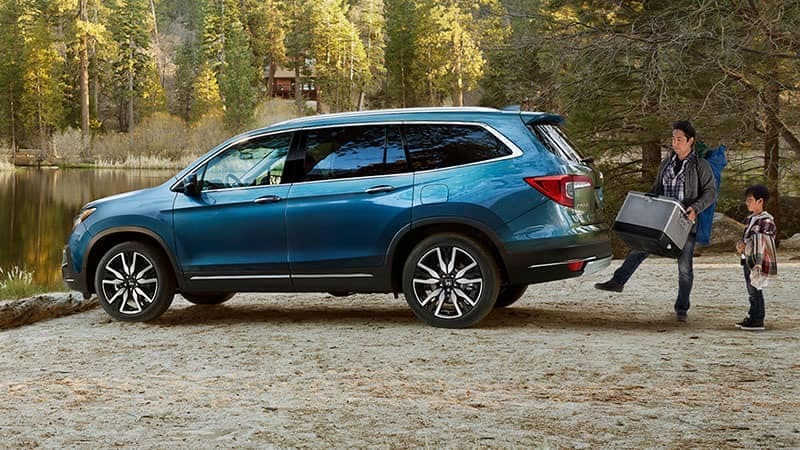 You can get a hands-on feel for all of the 2019 Honda Pilot’s technology features when you take this three-row crossover for a test drive at your local Hampton Roads Honda Dealer. The Pilot’s entertainment systems and high-tech convenience features are sure to please everyone who passes through your cabin, and thanks to our current offers, there’s never been a better time to get behind the wheel.